A & R Hoods has the experience, expertise and state-of-the-art equipment to perform complete kitchen hood cleaning per National Fire Protection Association (NFPA) #96 Standards. Routine restaurant hood cleaning is not only mandated by law, but also by your moral obligation to protect your employees and customers from fires caused by grease buildup in your kitchen exhaust system. We offer a FREE restaurant hood and duct compliance inspection within 2 weeks of your last kitchen hood cleaning. Inspections and restaurant hood cleaning services are available for both Western and Eastern Washington business owners. 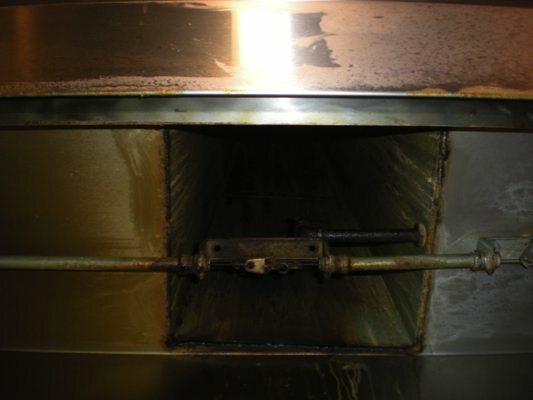 When the restaurant hood cleaning inspection is completed, you will not only have a full system report outlining if kitchen hood cleaning is recommended, but we will also give you pictures that were taken within your exhaust system to support our findings. According to NFPA #96, it is your responsibility for the inspection, maintenance and cleanliness of your kitchen exhaust system. It further specifies that kitchen hood cleaning be performed by a properly trained, qualified, and certified person. Failure to meet all of the standards outlined can result in health department violations, fire department citations, and may even disallow insurance claims for damage as a result of fires from improper or neglected kitchen hood cleaning. Your responsibility for proper kitchen hood cleaning goes way beyond violations, citations and insurance claims. The health and safety of your employees, customers and anyone else that could become a victim in a grease related fire should be your first priority. Why Choose Us for FREE Restaurant Hood and Duct Inspections or Kitchen Hood Cleaning? With over 25 years of experience in the restaurant hood cleaning industry, you can depend upon us for a complete inspection of your entire kitchen exhaust system. 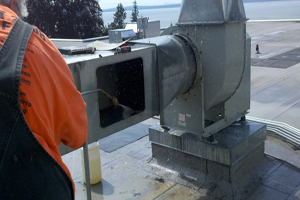 A and R Hoods is fully licensed, bonded and insured pursuant to Washington State requirements. For routine maintenance, emergency health or fire department violation issues, or to schedule a FREE kitchen exhaust system compliance inspection, we are available 24x7. Don’t wait for the unthinkable to happen, give us a call today at (253) 537-3755! The safety of your restaurant hoods and exhaust system are our specialty!